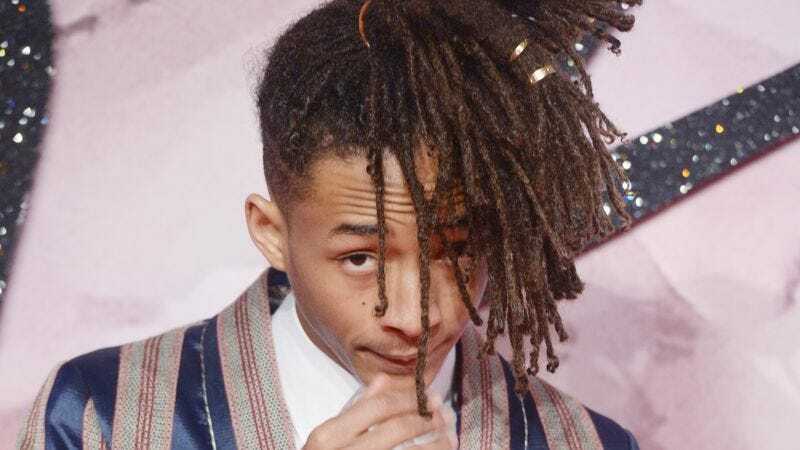 The Get Down star Jaden Smith is a well-known supporter of the arts; besides his work in the field of mind-blowing Twittery, Smith recently stepped up to raise awareness for Shia LaBeouf’s since-relocated “He Will Not Divide Us” installation. Possibly inspired by LaBeouf’s impulse to just stick his art on the exterior wall of a museum, Smith has now taken to leaving his own paintings outside art galleries for people to find. That’s per Fader, which notes that Smith has done this at least twice in the last few days, leaning his paintings up against walls or stop signs and tweeting out a picture encouraging his fans to come get them, and to tweet him a picture once they’re found.